Who has the most tallies heading into the 2017-18 season? Hint: he’s a big man with nearly 1,400 regular season NHL games to his name. 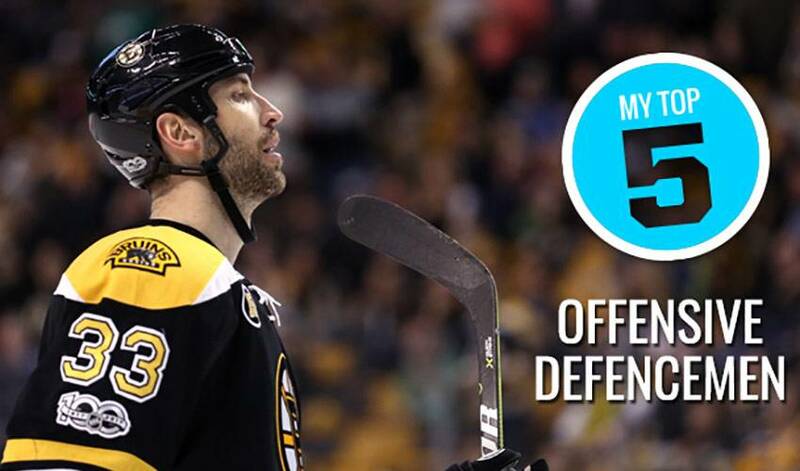 Who has taken their best shot to make the top 5 list of active goal scoring leaders amongst defenceman? Check out the hard-shooting blueliners who have a penchant for lighting the lamp. Boston’s imposing 6-foot-9 captain is 12 goals away from reaching the 200-goal mark over a stellar career that has delivered a Stanley Cup championship (2011), 604 points and 28 game-winning markers. The hard-shooting British Columbia native has had a blast throughout an impressive NHL career that is closing in on 900 regular season games. A two-time Olympic gold medal winner, Weber has recorded 606 points over his time with Nashville and Montreal. A four-time NHL All-Star selection and the 2016-17 James Norris Memorial Trophy winner as the NHL’s top defenceman, Burns gives opposing goaltenders ample reason to fear the beard. The veteran of 879 regular season NHL games has 30 game-winning goals to date. Winnipeg’s big man on the blue line leads all active defenceman with 34 game-winning tallies. The Minnesota native sits one point away from reach 450 for his NHL career. Last season, Byfuglien, who won the Stanley Cup with Chicago in 2010, had 52 points in 80 games with the Jets. The Calgary native contributed 14 goals to the Detroit Red Wings in 2016-17, including a pair of game-winning markers. Heading into 2017-18, Green finds himself only three assists away from 300 in his career.